Boulston Manor – A beautiful Country House set in an idyllic romantic location overlooking the river Cleddau near the town of Haverfordwest in Pembrokeshire is the perfect place for an exclusive wedding. We provide the exculsivity of an idyllic romantic location with grandest parkland views towards the river, perfect for your fairytale wedding. 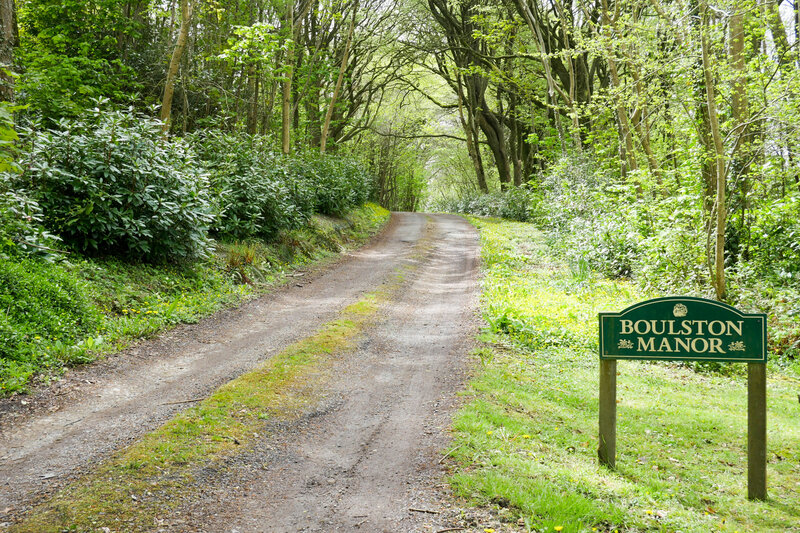 Boulston Manor’s exceptional location offers flexibility enabling you to design your dream wedding, turning your special day in to a happy ever after! Rod and Jules are able to offer everything from a small intimate celebration to a large wedding in our Marquee to ensure you and your guests wonderful memories of your very special day. Boulston Manor’s Georgian features such as the beautiful staircase are ideal for intimate photos, whilst the drawing room is perfect for meeting your guests. The first floor balcony allows for a panoramic picture of all your guests with an exeptional backdrop of the grounds and river recording your very special day. Make your dreams come true! 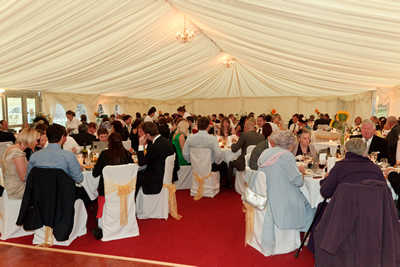 Wedding receptions are held in marquees adjacent to the main house overlooking the garden and front park rolling down to the river Cleddau. As a wedding setting the position, views and seclusion at this beautiful country house are hard to beat, situated at the heart of Pembrokeshire along side the ancient Cleddau waterway the whole place has a timeless quality. 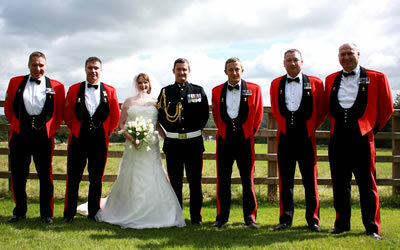 Providing a stunning romantic setting and wonderful backdrop for your wedding photographs. 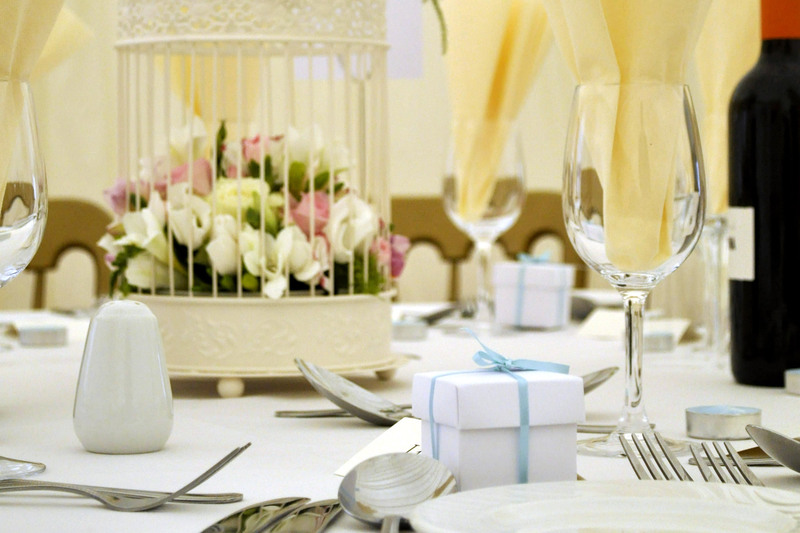 We can assist you in recommending excellent Wedding Marquee hire, Caterers, Florists and Photographers from in and around Pembrokeshire to help make the organisation of your big day effortless, allowing you to enjoy it, as it should be. 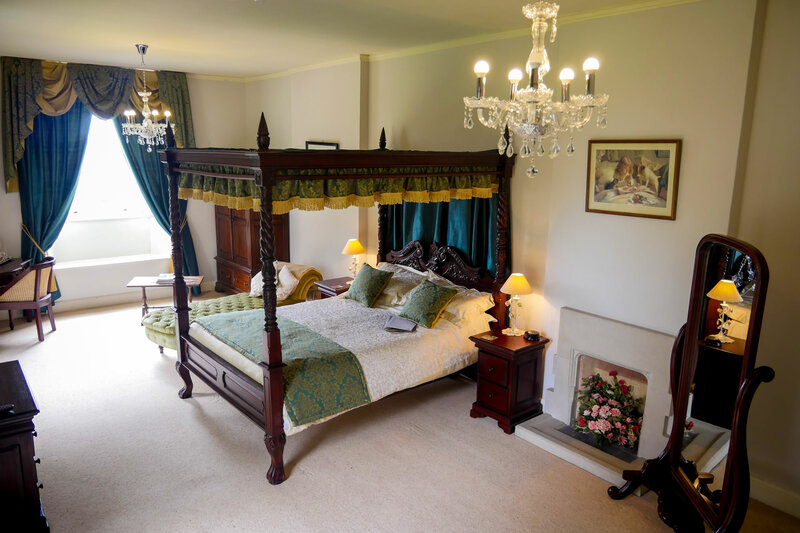 Also available are three fabulous bedrooms with private bathrooms as can be seen on our Bed and Breakfast website, stay in the manor house and drink in the beautiful Pembrokeshire countryside. 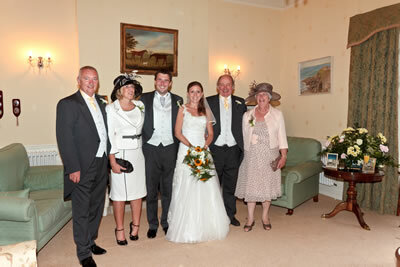 For more information and to arrange an appointment for your Pembrokeshire Wedding please email Rod and Jules at info@pembrokeshire-wedding.co.uk or telephone 01437 764600. 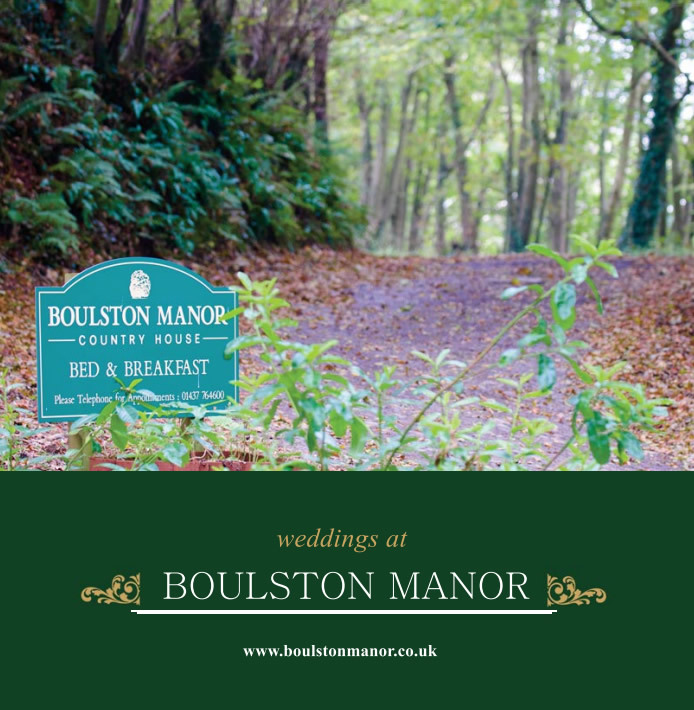 Special surroundings can help to make a day to remember, book your happy day with us at Boulston Manor.